New York City Football Club's Jonathan Lewis has joined Louisville City FC until the end of the USL Regular Season. 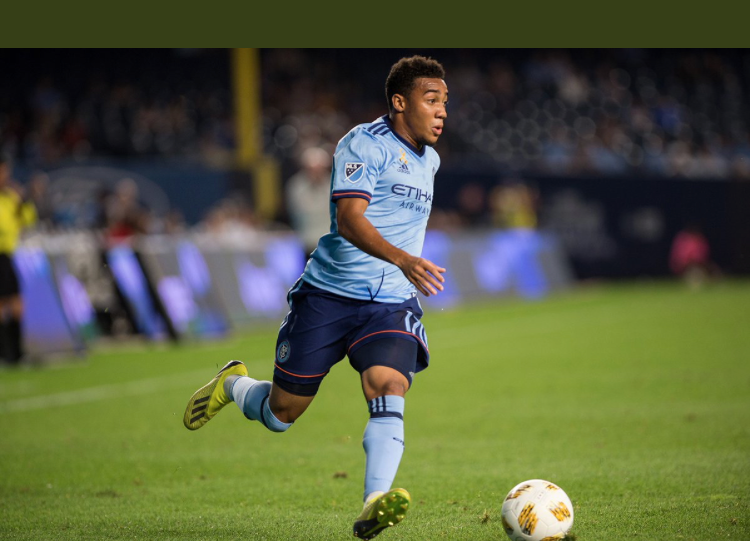 NYCFC retains the right to recall the 21-year old winger at any stage before Louisville’s final league game on October 13. Lewis will return to New York once the USL regular season concludes and will be eligible for the remainder of the MLS regular season and playoffs. Lewis will have the chance to feature in six matches for Louisville City, beginning Wednesday against Penn FC. Lewis, who joined the club as third overall pick in the first round of the 2017 MLS SuperDraft, has made 26 appearances for NYCFC in two seasons, scoring three goals and completing four assists. Louisville, who are coached by former U.S. U-17 National Team Head Coach John Hackworth, currently sit in third position in the Eastern Conference of the USL standings. James Sands recently completed a successful loan with the USL Club. Additionally, midfielder Yangel Herrera has been activated from the disabled list and will be eligible to play should he make his return from injury. Defender Cedric Hountondji has been added to the disabled list and will be ineligible the remainder of the season.